i love it! 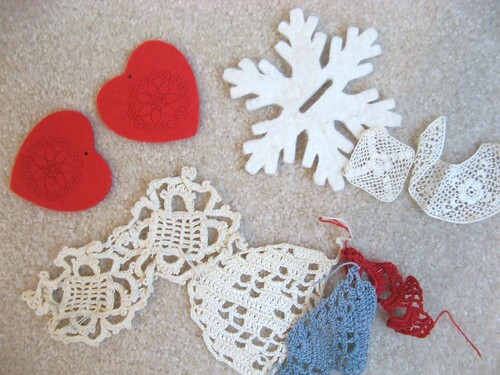 i have some pretty snowflakes that i kept from a gift i received from anthro a couple of years ago... i've been trying to think of something pretty to make with them and now i know what! thank you tif!!! i thought they looked an awfully lot like mine! thanks so much for the 'gleefullness' you bring me! I absolutely love your glee project and your blog! Am new to the blogoshere, but you bring me into your warm, handcrafted world! Do you knit? When I saw this, I immediately thought WINTER and COZY. Perfect. this honestly is the best holiday decoration i have ever seen. it's so unique and i love everything about it! Oh my, now that is one bundle of gorgeousness. Gleeful gorgeousness. Such great pictures as well. I've always loved this little cluster of yours. 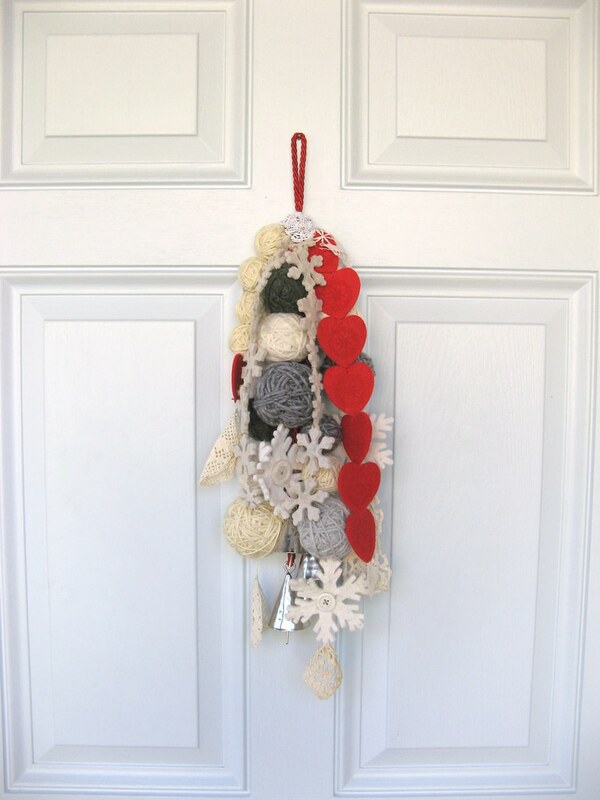 And, your yarn ball wreath. 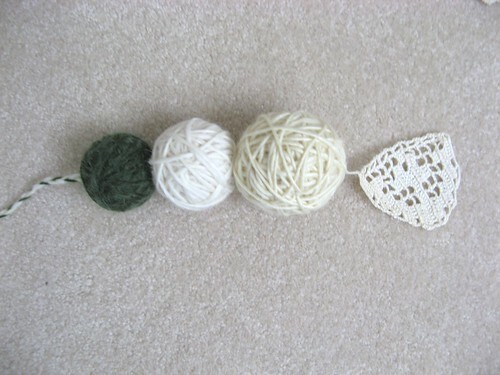 It was the first I'd ever seen of anyone using yarn balls as decor, and I thought (think) they were (are) fabuluous! 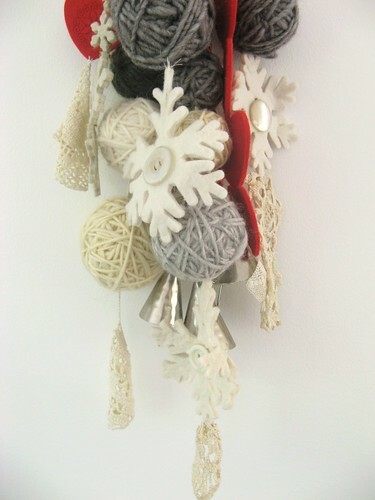 I haven't been able to get that wreath out of my head and would love to make one for the holidays...some year! 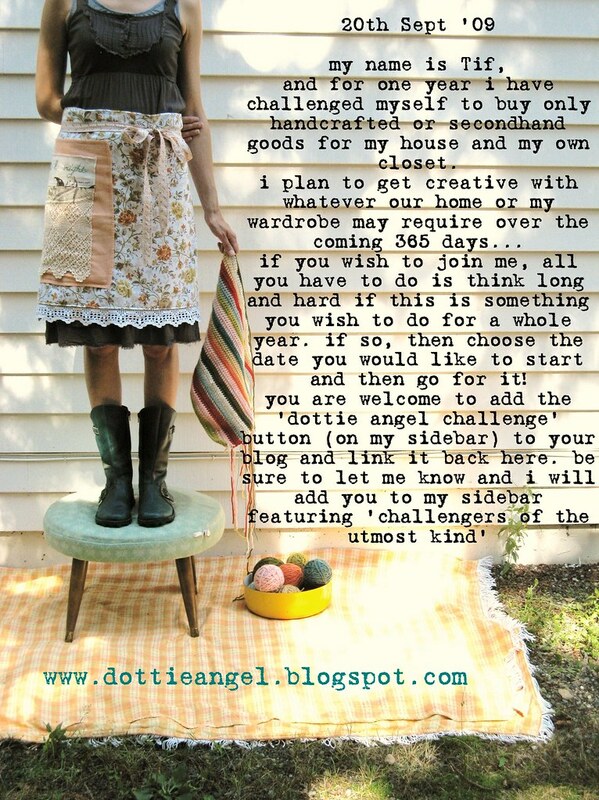 With this challenge, maybe I'll luck upon some pretty colors of yarn at the thrift. Otherwise, I'll have to do some scouting on Etsy. It's is so soft and beautiful ... Very inspiring !! I am putting a link on my blog to this wonder right away so that French bloggers can discover your work. Very pretty, I must have a go myself. 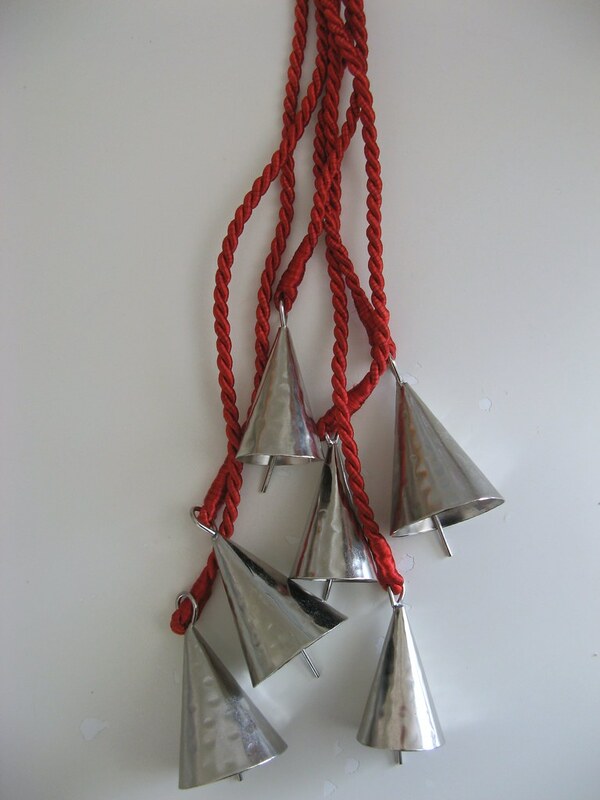 I absolutely feel inspired (and gleeful) with every post! Your creative genius, while simple, is quite elegant and romantic. Well Done! It's beautiful, I love how cozy it looks. That is beautiful! Absolutely lovely. 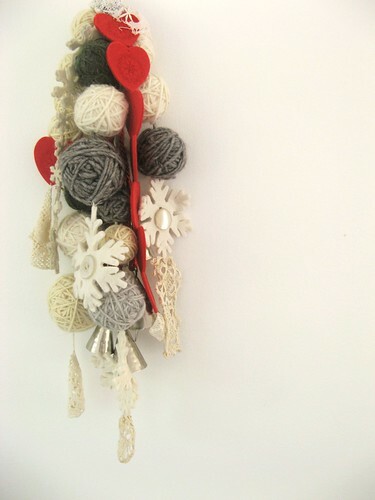 I think I shall break into my scraps collection and make one up myself! Thanks for the tips! I. Love. This. You are so creative! 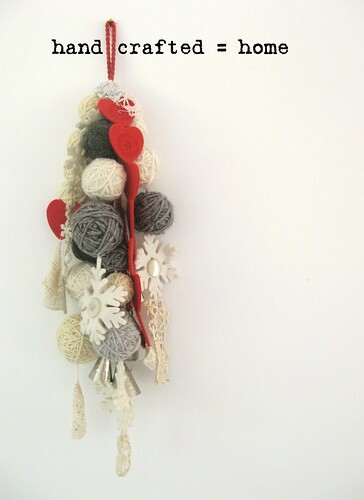 I think this creation is really about Christmas spirit! !i love your blog! !